Every day on the crowdSPRING Twitter account and on my own Twitter account, I post links to posts or videos I enjoyed reading or viewing. These posts and videos are about logo design, web design, startups, entrepreneurship, small business, leadership, social media, marketing, and more! Here are some of the links that I’ve liked and shared this past week about startups, entrepreneurship and leadership. 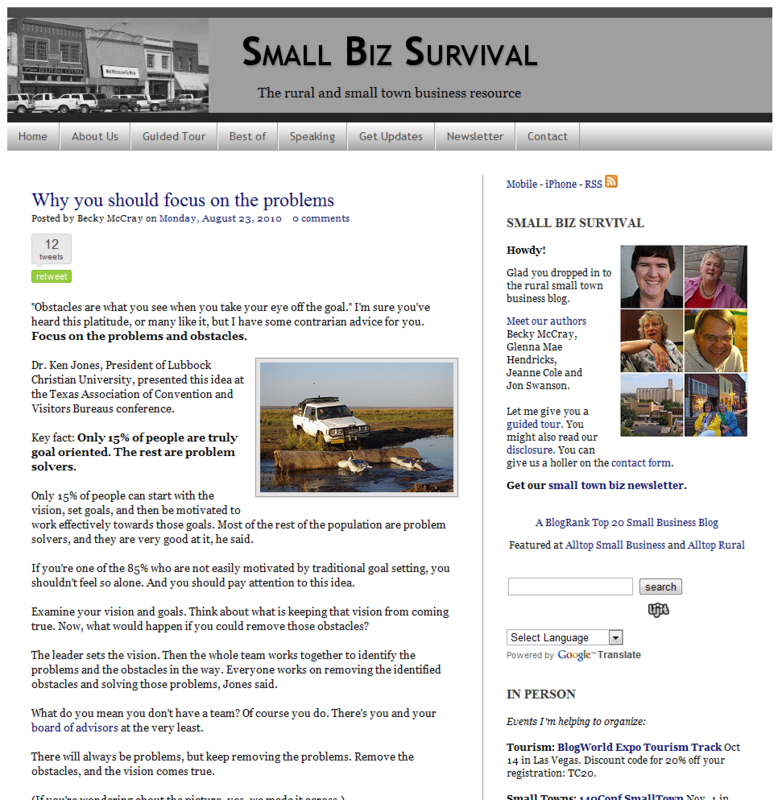 The screenshot on the left features Becky McCray’s Small Biz Survival blog – an excellent resource for rural and small town businesses. What’s your favorite post about entrepreneurship, startups or leadership from the past few weeks?